Although most people associate the genre with the 80s commercial heyday, heavy metal history dates back much further than that. 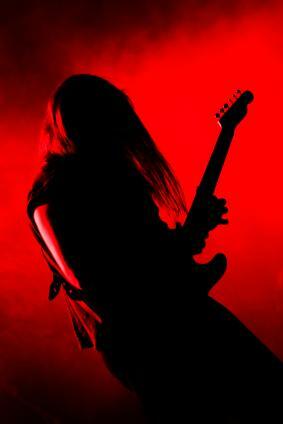 Metal music has gone through many changes since it first emerged and today encompasses many subgenres. Although the distorted guitar sound that would become the signature of heavy metal music can be heard as early as the 1950s in the music of surf guitar legend Link Wray, the very first seeds of heavy metal began to be planted in the UK in the mid to late 1960s. During this time, a new crop of British rock musicians - The Who, The Yardbirds, Cream and even The Kinks - were experimenting with melding distorted guitars and wall-of-sound drumming with blues influences. This music style gave rise to psychedelic rock on both sides of the pond. Different bands played up different influences. Some relied more heavily on the blues roots while other psychedelic bands experimented with long, distorted guitar solos. All of these elements came together in 1968, when the record that is considered the first heavy metal recording was released. This song - a cover of the Eddie Cochran song Something Blue by San Francisco band Blue Cheer - was not a hit but laid the groundwork for Steppenwolf, the Yardbirds and Iron Butterfly to all release more successful albums of early heavy metal music. In the early 1970s, several heavy metal acts broke through and began making their mark on the music charts, but perhaps the most significant act from this period was Led Zeppelin. Their heavily blues-influenced sound made them not only one of the biggest artists in metal but also one of the top-selling groups of the 1970s and one of metal's biggest and most enduring mainstream successes. With Led Zeppelin putting their blues influence in the forefront, another newly emerging music style in the 1970s was making an impact on other metal musicians. The 1970s also gave rise to punk music, and some 70s metal bands, including Black Sabbath, began to incorporate elements from punk into their music. Rather than taking cues from the blues, these bands focused on heavy distortion and fast, punchy drums and guitar solos. By the end of the decade, the blues-inspired metal had given away almost entirely to punk-tinged metal. By the end of the 1970s, metal sales had begun to slip, but the early 1980s marked what was known as the New Wave of British Metal. Bands such as Judas Priest, Iron Maiden, Saxon and Def Leppard ruled the airwaves. These bands tended to shy away from the blues side of metal and built upon the punk influenced styles of the late 1970s. The real peak of heavy metal history came in the mid to late 1980s, when metal acts began to experiment with glam rock influences. Inspired by the style of the New Romantics, who themselves borrowed themes from 70s glam rockers, a new crop of metal acts emerged that blended the driving guitar sounds of metal with flamboyant fashion and stage shows. Much to the distress of dedicated metal fans who embraced the genre's tough image, bands like Poison, Cinderella, Motley Crue, RATT and Van Halen became the face of metal and in many ways, they became the face of mainstream music at the end of the decade. Although this style of metal music has since earned the sarcastic name "hair metal," it marked the peak period for metal sales. Another important metal force that emerged towards the ends of the 2000s was so-called retro metal, which harkens back to the blues-influenced metal of the 1960s. Metal fans - what are your top moments in metal history? Share your favorite moments by leaving us a comment.